We would like to make you aware of a small update. It is now possible to display files in a random order within a collection. 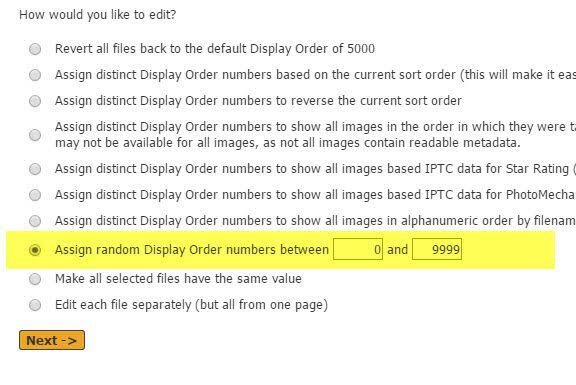 To use the random order go to the desired collection > Edit > Display Order options > Assign random Display Order. Folio Gallery Page Update! Throwback Thusday: Mosaic Page Galleries! Throwback Thursday – Browser Titles! Featured Website: Philip Lord Photography!